Meister Werks is the Renton Porsche repair and service company of choice for Porsche owners who care about performance. 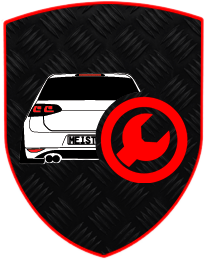 We specialize in European and import car repair, maintenance, IMS bearings and customization, and are dedicated to offering reliable, quality service and customer care, all at a fair price. Our highly trained Renton Porsche repair mechanics can handle scheduled factory maintenance and other necessary adjustments to keep your Porsche operating at optimal performance levels. From alignments and oil changes to engine and transmission repair, our Porsche repair experts will use their knowledge and experience to keep your vehicle purring. IMS bearing repair, IMS Retrofit kits and more. If your Porsche starts making a strange sound or you notice the check engine light or DTC codes, it may be time to let a Renton Porsche repair professional take a look at it to see what’s wrong. Keeping up with regularly scheduled service on your vehicle and checking for problems before they become catastrophic can save you thousands of dollars in repairs in the long run. At Meister Werks, we offer professional Porsche service and repair on all makes and models of Porsche. Our Porsche repair mechanics are professionally trained to work on most European made cars, including Porsche, and have decades of combined experience to back it up. We are eager to be your Porsche repair and service shop of choice, so contact us today and experience the highest level of customer care for yourself. Honesty and a fair price make up the foundation of our business philosophy. We always charge a fair price for our work and never try to up-sell our customers on parts and repair they don’t need. Preventative maintenance is the key to maintaining the performance of your Porsche. Factory recommended service also prevents minor problems from becoming major catastrophes that leave you stranded on the side of the road. From routine oil changes to alignments, our Renton Porsche repair mechanics will keep your vehicle operating at peak performance. We offer a 100-point inspection that can pinpoint problems, so you don’t have to worry when you’re behind the wheel. When you bring your Porsche into our shop for service and repair, you save considerably when compared to the dealership. We also offer more personalized attention and care, and will provide you with an up-front estimate so there aren’t any surprises. We’ve earned the trust of Porsche owners in Renton, and we are ready to earn yours. Keep your automobile running like the first day you drove it by scheduling your own 100-point checkup today. Our mechanics will check your tire pressure, top off your fluids, and make sure there aren’t any hidden issues with your Porsche, for only $95. Sometimes, even a Porsche will break down. If your automobile starts making a strange noise, don’t wait to bring it in for an inspection. Even small problems can turn into major repairs, if ignored. The quicker our mechanics can take a look at your Porsche, the better our chance of keeping the cost and scope of the repair to a Porschemum. Even the finest Porsche will occasionally need repair. If you have a problem with yours, we can get you back on the road in no time. We install only factory-recommended parts according to Porsche’ stringent specifications, ensuring the performance and lifespan of your car. Our mechanics are fully trained to repair Porsche automobiles, and the experience required to apply that knowledge. As a small family owned Renton business, we are able to offer better prices than the major dealerships while providing you with customer care that far surpasses that of larger shops. We know that you take a great deal of pride in your Porsche, so we treat your vehicle as if it were our own. If you desire a little something extra from your Porsche, we offer performance upgrades and customizations that will turn heads and maximize performance. Contact our shop in Renton to schedule a free consultation about your Porsche and find out how we can turn into a true one-of-a-kind. 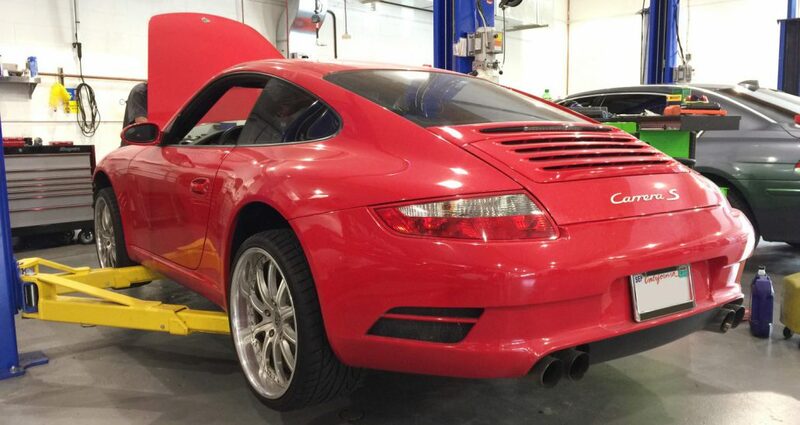 As European automobile enthusiasts, we love working on Porsche vehicles. We appreciate fine automobiles just as much as you do, which is why we treat every Porsche like it was our own. Everyone at our shop is dedicated to hard work, dependability, and maintaining the highest level of customer care. We will treat you fairly when it comes to the price, do the job right the first time, and remain entirely honest in all of our business dealings. We’ve earned our reputation for a reason, so contact our Renton Porsche repair specialists today for your own free consultation. Dr. Ing Ferdinand Porsche began thinking about beginning his own automobile manufacturing company. In 1900, Dr. Porsche designed the first gasoline/electric hybrid automobile. For almost 50 years, Dr. Porsche has worked with Auto Union, Volkswagen, Daimler-Benz, Mercedes, and Daimler. In 1931, the Volkswagen Beetle was developed by his independent design company. While Dr. Porsche was at a race, his son Ferry was born. Ferry was very important to the design of the Porsche 356, which was the first Porsche ever built. He was also a test driver and a draftsman at Dr. Porsche’s company. Dr. Porsche was convicted of being a war criminal and spent 20 months in Dijon, France in prison. During this time Ferry worked the new Porsche. Although he was soon released, Ferry was also arrested. In his father’s absence he designed the first Porsche sports car as well as raced cars to keep the family company going. Since this was post war Europe, parts for the first Porsche 356 were located wherever they could be found. This sports car featured a highly modified Volkswagen that had 40 HP. The firm’s headquarters were located in Gmund, Austria, which is where five of these sports cars that were ordered from a distributor in Zurich, Switzerland were hand built. The Porsche 356 won its first race one month after it left the plant. By 1954, the Porsche 356 was being produced regularly. The speedster version was produced in 1954. In 1956, 10,000 Porsche 356’s were produced. The Porsche 356 was introduced some years later. In 1951, Dr. Porsche died. In 1963, the Porsche 911 was introduced. It was their flagship vehicle. Originally, it was known as the 901. However, the production vehicle officially named the 911 in 1964. It featured had 130 HP six cylinder, two liter engine. Within the next decade, the high performance, semiautomatic Targa was produced. Although its engine was used in the Porsche 912, the production of the Porsche 356 ended in 1965. The replacement was the mid-engine Porsche 914, which was produced in 1970. The Porsche 914 was replaced with the Porsche 924, which had the Audi engine in the front. In 1978, the 240 HP Porsche 928 was introduced with a V-8 engine. The 944 was based on the 924, but featured a four cylinder engine that was built by Porsche and was introduced in 1982. In 1985, at the Frankfort Auto Show, the Porsche 959 made its debut. There were 250,000 Porsche 911’s produced in 1987. A Porsche 356 SL won a class victory at Le Mans in 1951. At the Targa Florio, a 550 Porsche Spyder won first place in 1956. During the 1960’s and 1970’s there were wins at the World Championship of Makes, the Can-Am series, the 24 Hours of Daytona, and the Nurburgring 1000 km race. At the Paris-Dakar rally, there were also wins for the Porsche 959 and the Porsche Carrera four by four during the 1980’s. From the beginning, the Piech and Porsche families had controlled the company. However, Porsche went public in 1984. Dr. Porsche’s son in law was Dr. Ernst Piech who kept 50% of the shares. Porsche continued to produce large numbers of high quality sports cars. In 1987, 250,000 Porsche 911’s were produced. In 1990, Porsche introduced their clutchless Tiptronic manual transmission. Porsche was about to be taken over by a larger company during the 1970’s as a result of the gas crisis. A Dr. Wiedekin became the CEO and refocused development on the Porsche 911. Front engine models were discontinued and not long afterwards the mid-engine Boxster was introduced. In 1996, one million Porsches were produced. Porsche bought one third shares on Volkswagen in 2008. At the time, Porsche had four basic models in the marketplace, which were the Cayenne sports SUV, the Cayman, the Boxster, and the 911 Carrera. In 2010, the Porsche Panamera was introduced.